Every ski in Gatineau Park seems to begin with a long hill. You snap into the bindings, slip your gloved hands through the poll straps, and push off. If you have started from one of the more exposed trailheads on a windy day, then the chilled air bites at your face. But only for moment. Within a few hundred metres you enter the woods, where the wind lifts into the treetops, leaving you climbing comfortably up the trail. You reach the top and slide into the tracks. As you recover from the first, short exertion, you settle into a rhythm and pace. The sun glints on snow crystals, or maybe you ski through a snowglobe fantasy of big, soft flakes. The kilometres flow away. 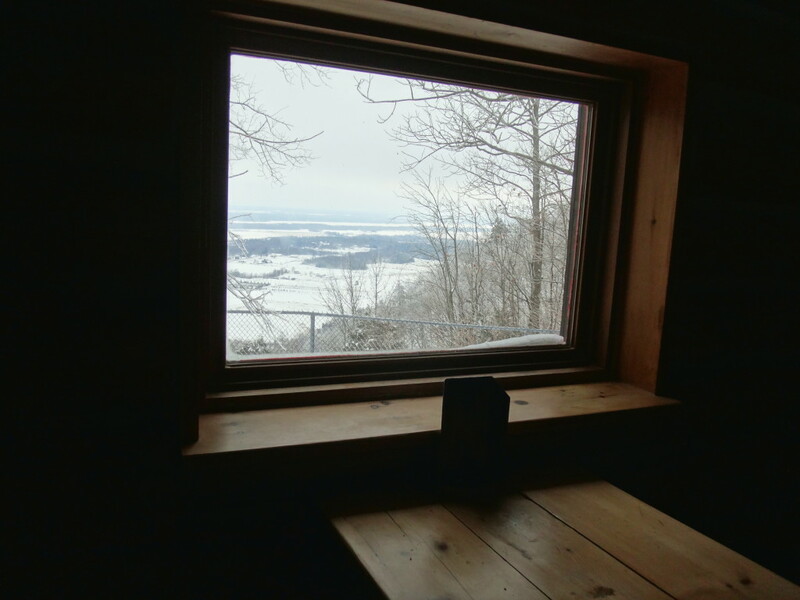 Admittedly, not every day of skiing in Gatineau Park meets this idyllic description. On the coldest days, one may struggle to find just the right balance of layers: enough to stay warm on the descents, without perspiring on the climbs. An early spring may turn trails icy. A heavy snowfall may bend the trees low over the narrower trails, until the groomers have had time to visit them all. Most of the time, though, the only hard choice is deciding at which cabin to eat lunch. 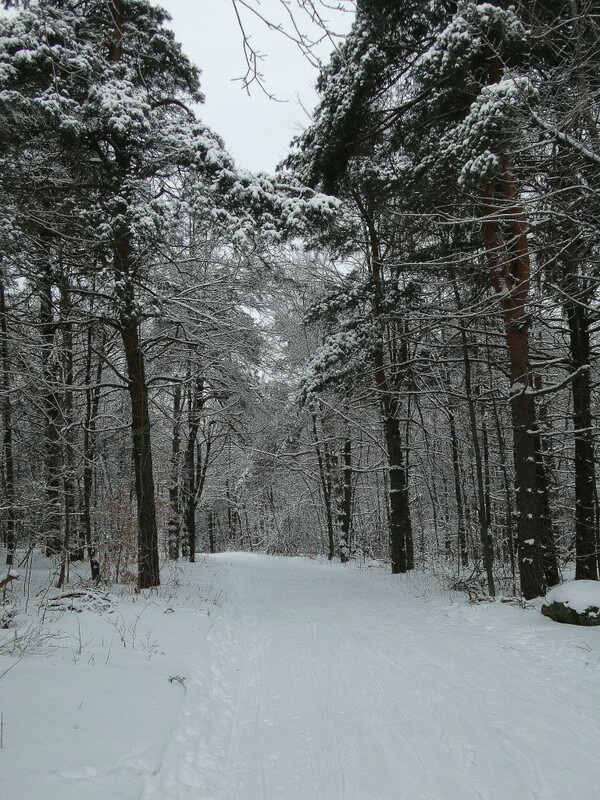 Most trails in the park are shared: one or two groomed tracks on the outside, with a broad skating track in the middle. The wide parkways offer easy skiing along gentle grades, with long views across lakes and wetlands. The winding, wooded trails offer a range of challenges, from beginner to advanced, with a few, particularly narrow trails reserved for classic skiers. I’m a classic skier. I learned that way, and my stiff, old body just doesn’t take well to skate skiing. I sometimes envy the speed and grace of the skaters, as they weave past me along the trail — especially the competitive skiers, which includes national team members. But I also feel that my slower pace connects me more closely to the landscape. I have time to notice the foraging flock of chickadees, nuthatches and downy woodpeckers flitting and chirping through the trees. 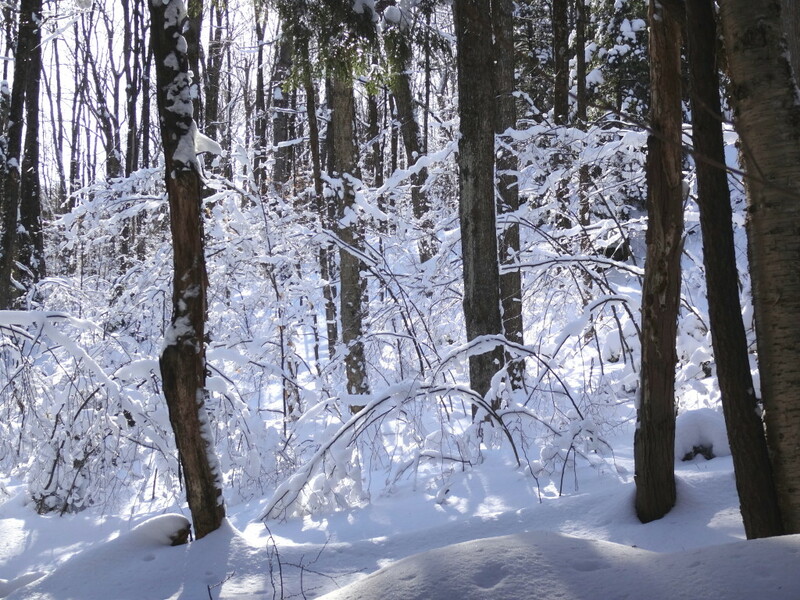 I appreciate the fine sifting of snow down through the canopy, as the wind drags its fingers along the treetops. I have two favourite routes. Trail 50 begins at Parking Lot 16, in the Meech Creek Valley, on the north side of the park and rolls through easy terrain for about 15 km to the campground at Lac Philippe (where you can find both winter camping and reserve winterized yurts). 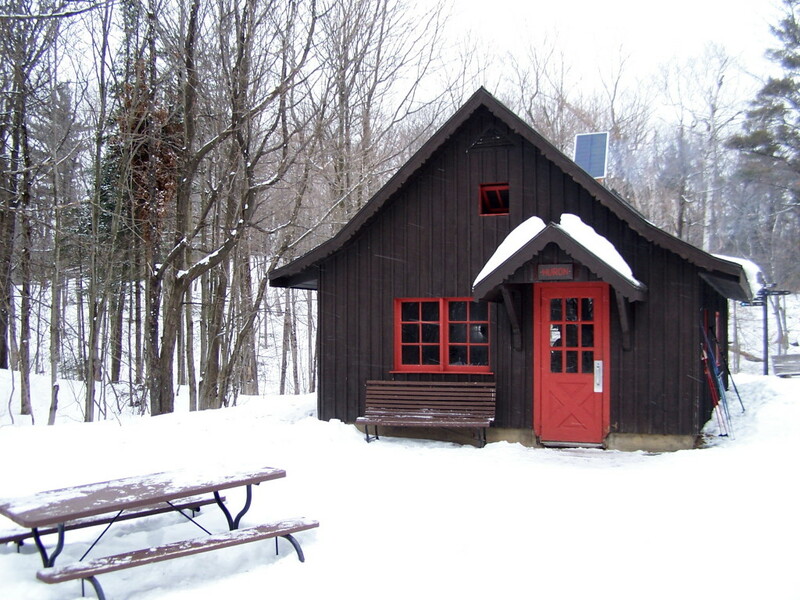 En route, you pass both the Healey and Herridge shelters — large cabins with indoor picnic tables and wood burning stoves. But I prefer to carry on another 7 km or so past Lac Philippe on Trails 55 and 54 to eat my lunch at the shelter overlooking Lusk Lake. Trail 54 to Lusk Lake features three long climbs. But the view across the lake justifies the effort, and the descent back down the trail is just difficult enough to provide a novice or intermediate skier with a thrill. Altogether, it’s a 45 km round trip on easy, well-groomed trails. My other favourite route starts at the Kingsmere Parking Lot, Number 7, near MacKenzie King Estate. It begins with a steep, winding climb up Trail, Number 30, a blue trail, but then transitions to the Trans-Canada Trail, Trail 1. Trail 1 runs for more than 20 km through the southern edge of Gatineau Park, with frequent spurs and connections to other routes. Along the way, it visits four shelters, Keogan, Shilly Shally, Huron and, near the far end, McKinstry. Keogan and Huron may be the busiest shelters in the park, and Huron features a particularly active bird feeder. I normally carry on past Keogan and Huron to Trail 2, a relatively easy blue trail that ends at the Western Shelter, overlooking the Ottawa Valley. On a sunny, late-winter afternoon, one can sometimes sit comfortably on the outside bench beside the shelter, enjoying the view across to the Ottawa River and beyond. 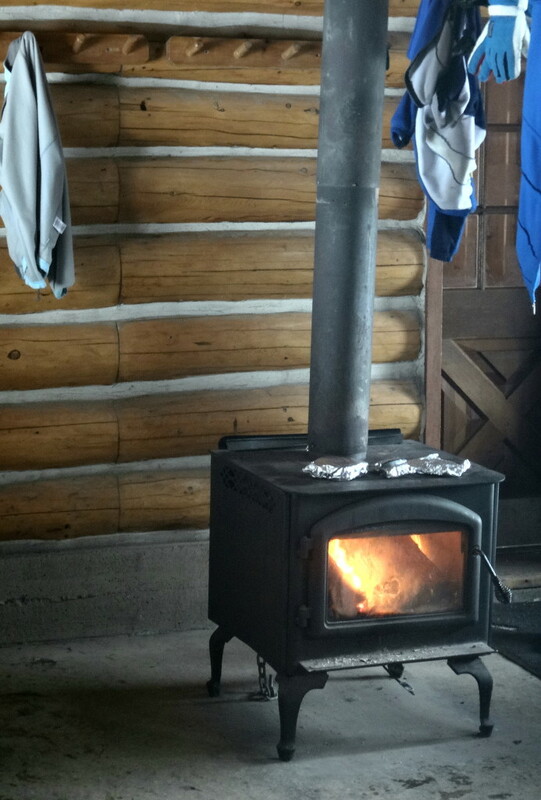 On colder days, the stove offers warmth and a place to toast a sandwich. It is a shorter ski, about 25 km round trip. 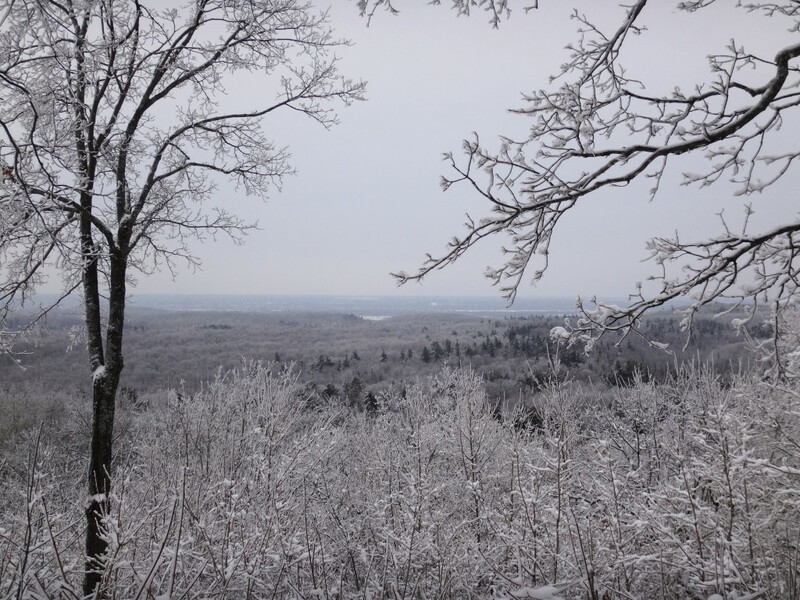 Gatineau Park lies only fifteen minutes north of Ottawa, across the Ottawa River in Quebec, along Highway 5. The exit for Old Chelsea is well-marked. Pass through Old Chelsea and take the turnoff for Chemin de Kingsmere to reach the Kingsmere Parking Lot and Trail 1. To reach the Meech Valley Parking Lot 16 and Trail 50, continue along Highway 5 past Old Chelsea for about 10 km, to the first turnoff for Highway 105. 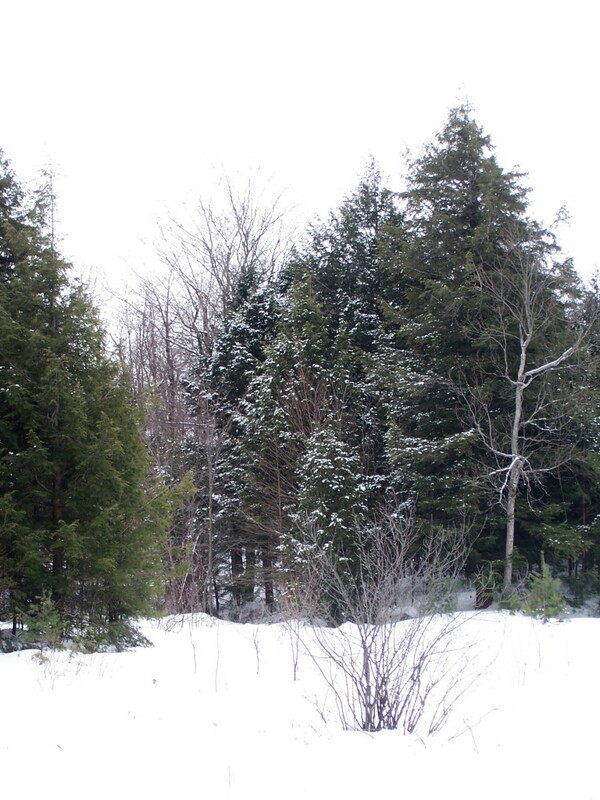 Turn left (west) on Highway 105 for less than 1 km, then turn left again on to Chemin Pine. A well-plowed, gravel road will carry you back under Highway 5 to Meech Creek Valley and Parking Lot 16. 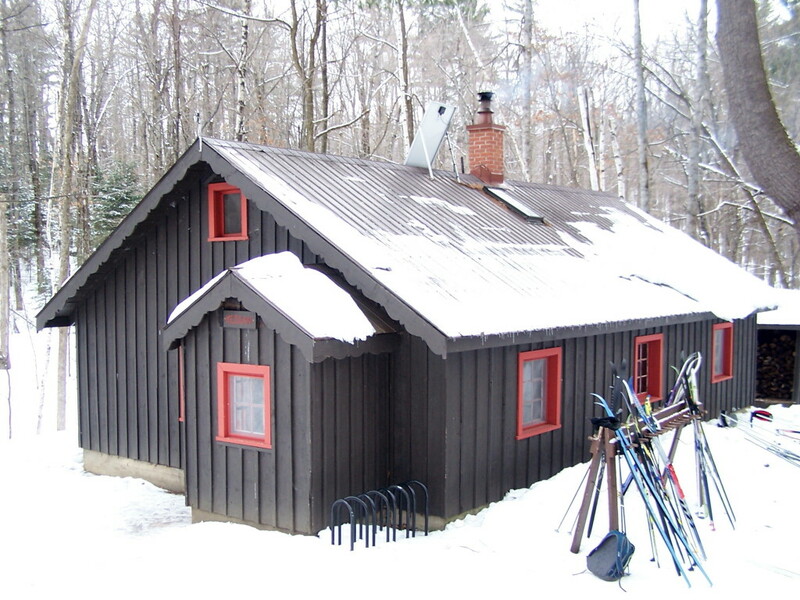 Maps of Gatineau Park’s ski trails can be downloaded from the Gatineau Park website at http://www.ncc-ccn.gc.ca/places-to-visit/gatineau-park/things-to-do/cross-country-skiing-gatineau-park. Day passes for skiing can be purchased at all of the trailheads, based on the honour system. Cash is simply dropped into a locked box. 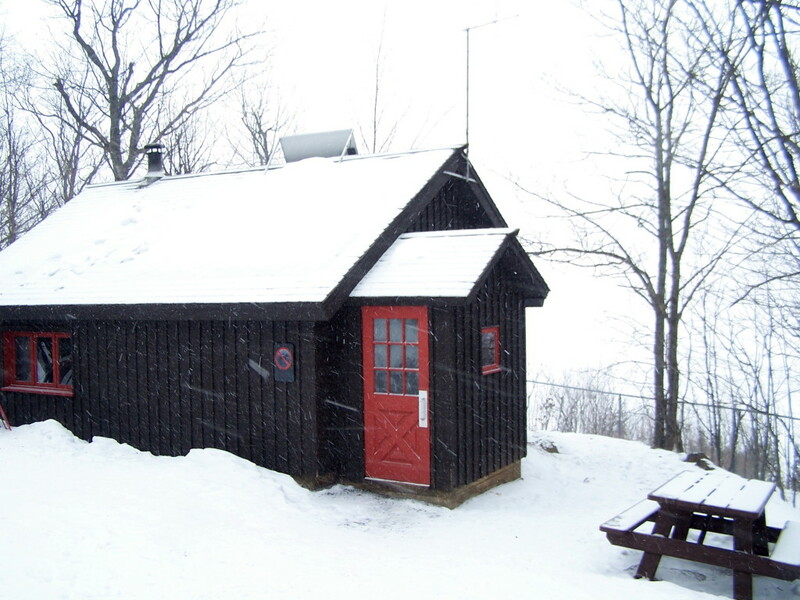 Day passes and season passes, along with trail maps, can be purchased at the Gatineau Park Main Office, in the Village of Old Chelsea. The village also offers ski rentals and a great selection of restaurants. I’ve enjoyed L’Orêe Du Bois, which offers gourmet dining featuring a regional cuisine. The Old Chelsea Pub offers great food with wide selection of local and brand name beers. However, I usually stop at Luigi’s Pizza. Family-owned and run, it offers very little in the way of decor or amenities. But the Magici Mushroom pizza, with portabello, king and oyster mushrooms, drizzled with truffle oil and parmesan cheese, comes as close as one can get to culinary heaven after a long day of skiing.